Leaving the car plugged into a socket in the garage will soon be an increasingly common practice in some European countries. From 2040 on, all vehicles produced in the UK will be electric and no gasoline or diesel models will be sold. France intends to get rid of fossil fuel-burning vehicles in the same time frame. Norway and Netherlands are both making plans to begin banning the sale of combustion engines in 2025 and Germany is moving to do so in 2030. Today, there are 90,000 electric vehicles in the UK, representing only 0.2 percent of the nation’s total automotive fleet. But, although still small, this number is increasing fast: In 2016 alone, the country saw more than 40,000 new electric cars registered, 40 percent more than in the previous year. 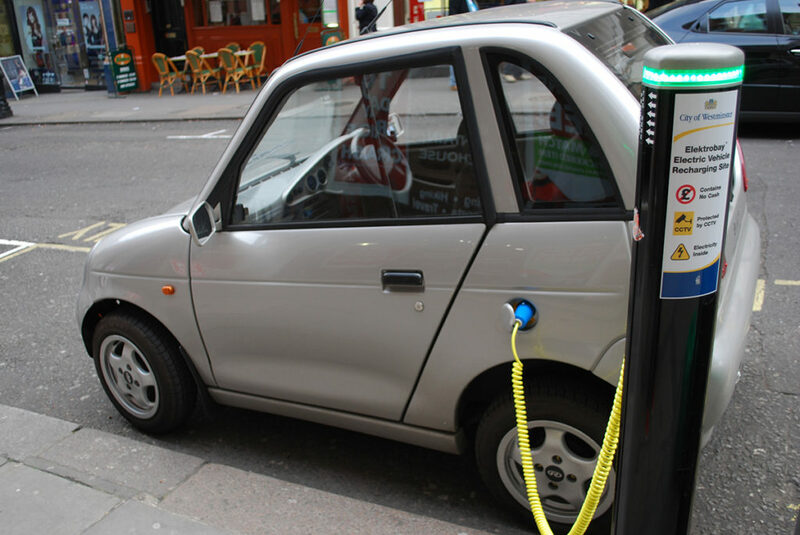 National Grid, which manages the UK’s power grid and gas network, estimates that the number of electric automobiles could grow to 1 million by 2020 and 9 million by 2030. 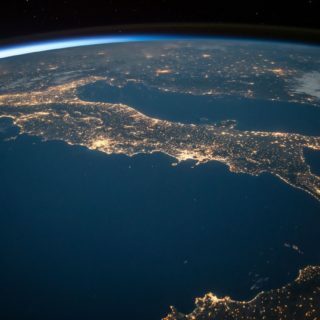 For the earth’s atmosphere, each electric car on the street means 4.7 tons less carbon dioxide per year (that’s the amount emitted by a gasoline-powered vehicle). The British government offers incentives for consumers to buy electric cars: up to £4,500 (US$6,030) to purchase the car as well as exemption from tolls, such as those charged to drivers in central London. Cars can be charged into a 220 Volt outlet, standard in UK homes, and they consume less than £0.50 (US$ 0.67) every eight hours, enough to complete the recharge. A home kit that costs £500 (US$ 670) reduces the time it takes for the vehicle to reach 100 percent of the battery’s life to three hours. 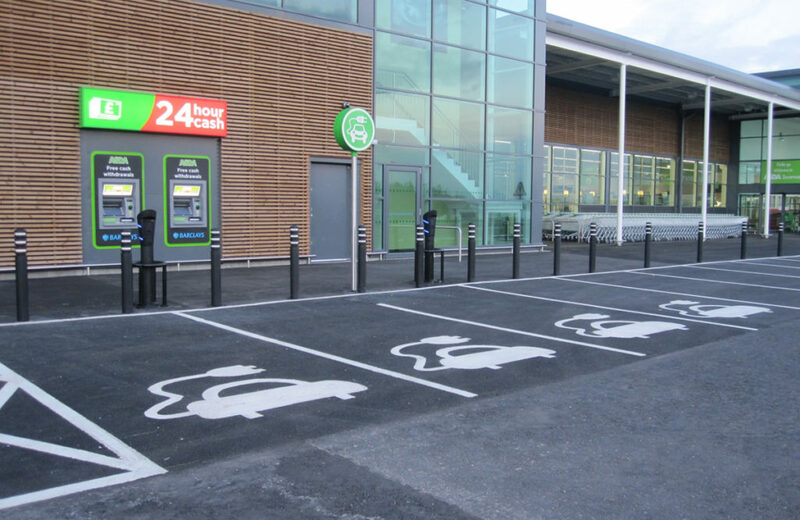 According to Zap-Map, a web portal and app mapping all the recharging stations for electric cars in the UK, there are 14,000 outlets in the region located in supermarkets, shopping malls and leisure centers. One-fifth of these are fast, capable of fully charging a battery in half an hour. The British government has announced plans to invest £400 million (US$ 536 million) in expanding this charging infrastructure, according to Ben Lane, director of Zap-Map. By 2040, assuming that charging time speeds up, between 2,000 and 3,000 recharging stations with 10 or 15 outlets in each will be needed, says the executive. 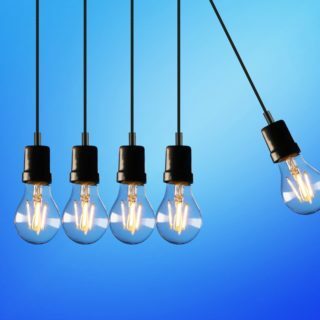 “Considering that 80 percent of recharging is done at home or in the workplace, this infrastructure would meet the demand,” he predicts, pointing out that there are already 7,000 to 8,000 gas stations in the UK which can easily be converted to do the job. One problem is that plugging in more vehicles means more electricity consumption. 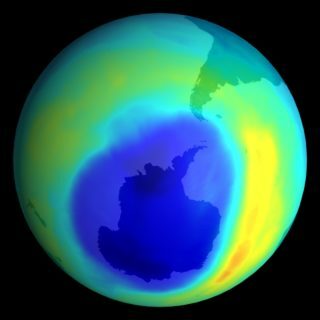 “The transition could lead to a 20 percent increase in demand, with even greater growth at peak times,” says Dénes Csala, teacher of energy storage systems dynamics at the University of Lancaster, England. “If the generation from renewable sources is not enough, the need for electricity will be met with fossil fuels.” According to Csala, an electric car using electricity generated by coal or gas can produce more carbon emissions than a gasoline-driven one. In the UK, consumers can help avert this scenario by choosing the right electricity supplier. 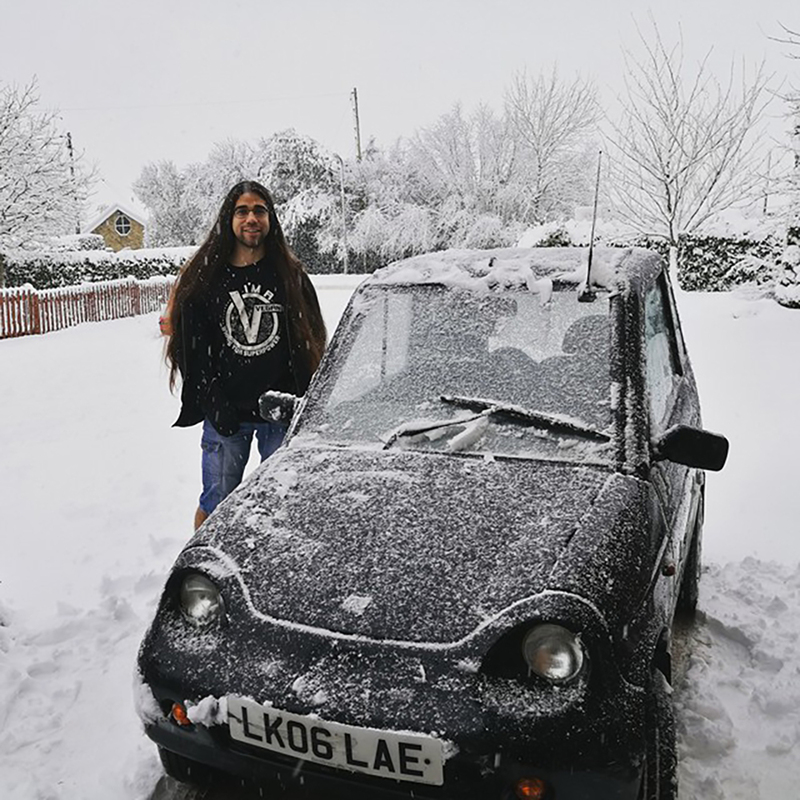 “My provider is a company that uses renewable sources, so I know my car is powered by clean energy,” says Neil Daves, a teacher who drives an electric microcar to work and to make short trips. He estimates that he will save £2,200 (US$ 2,948) a year on gasoline. Another issue is that electric cars, just like laptops and cell phones, use lithium-ion batteries, which have cobalt in their composition. More than half of the world’s reserves of this metal are in the Democratic Republic of Congo, in Central Africa, where its extraction causes pollution. As well, working conditions in the cobalt mining industry are inhumane, and child labor is common, according to Amnesty International reports. Despite warnings issued by AI, many companies evade responsibility, claiming not to know about the abuses in this production chain, since they do not buy the cobalt directly from the miners. The transition to electric cars will also affect current automotive workers. In the UK, that’s 160,000 people. A report commissioned by car makers in Germany indicates that the switch to electric models in that country by 2030 will (directly and indirectly) jeopardize 600,000 jobs, 10 percent of the sector’s labor force. But industry changes are nothing new, and present opportunities for workers as well as losses. While some jobs disappear, others arise. In 2011, 36 percent of the parts used in cars assembled in the United Kingdom were produced domestically, according to Industrial Study: Building a Britain fit for the Future, a white paper by the UK government. That share rose to 44 percent in 2016 and the government plans to reach 50 percent by 2022. In November, Tesla announced the launch of a truck that can drive 800 kilometers (497 miles) without recharging. The vehicle is expected to be on the road in 2019, suggesting that the sustainable future is not that far away. More information on the UK government’s strategy for sustainable growth can be accessed here. Access here the Future Energy Scenarios survey conducted by National Grid. Learn more about cobalt extraction in Congo from this report by The Washington Post. Read this article to know more about lithium-ion batteries.